The mighty Japanese novelist Haruki Murakami enriches his narrative with a strong infusion of western cultural allusions in every book. In his foreword to an early work, Wind Pinball (reviewed in Bay June 2016), he explains part of the reason for this phenomenon: He found his unique literary voice by first writing in English and then translating his output into Japanese. Apart from this singular methodology, he was, as many modern Japanese writers are, steeped in western classical and popular music and literature. This characteristic is very much in evidence in his latest novel Killing Commendatore. 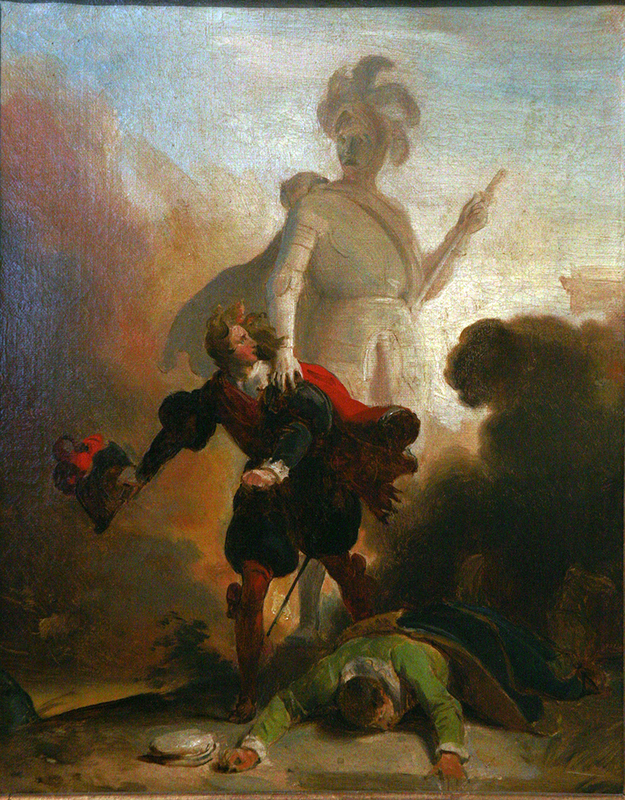 The title derives from Mozart’s opera Don Giovanni (Don Juan), alluding to the roué’s brutal slaying of the Commendatore, the father of one of his amours; he is haunted by the Commendatore’s ghost as depicted in French painter Fragonard’s painting Don Juan and the Statue of the Commander (pictured right). Murakami’s protagonist is a successful portrait painter who is licking his marital wounds in the remote mountain retreat owned by the celebrated artist Tomohiko Amada, who paints in the classic formal Japanese style—but is now in a nursing home. Our unnamed protagonist finds, hidden in the attic, a painting by Amada which is a bloody depiction of the slaying of the eponymous Commendatore—to his horror the ghost of the slain commander now manifests itself along with the sound of a mysterious bell. The two-foot-high Commendatore now appears at significant points of this multi-layered novel punctuating every encounter and adventure our protagonist experiences. 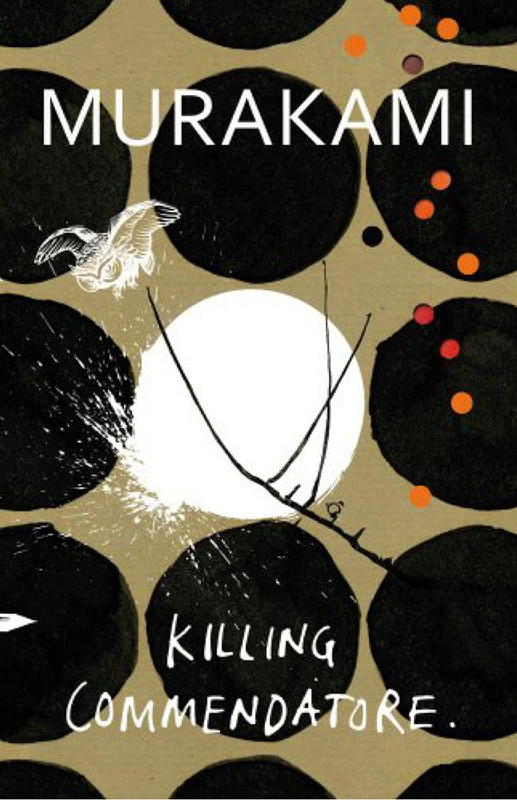 Parading his inimitable capacity for introducing surreal situations, employing a mytho-magical approach to his creative endeavour, Murakami never fails to dazzle with intricate plots, strongly defined characters and beautifully articulated phraseology. Once again Britain’s master storyteller, the illustrious William Boyd, delivers a novel as original in its plot and characters as it is exemplary in the warmth of its narrative style. There are many reasons why Boyd is so popular: for me it is his highly personalised descriptions of foreign settings with action taking place variously in African and European settings. His characters are always closely depicted— you cannot ever forget them. The Scottish hero, for example, in his latest novel Love Is Blind is Brodie Moncur, a piano tuner of such ability that his services are in demand in France and Russia, across Europe and Asia Brodie Moncur is a consumptive, his ambitions ever thwarted by his poor health. He falls in love with the remarkably faithless Lydia (Lika) Blum who leads him a merry emotional dance, levering his unquestioning devotion to further her own relationships with all the other male players in this fast-paced story. Though Boyd has invoked Chekhov and R.L. 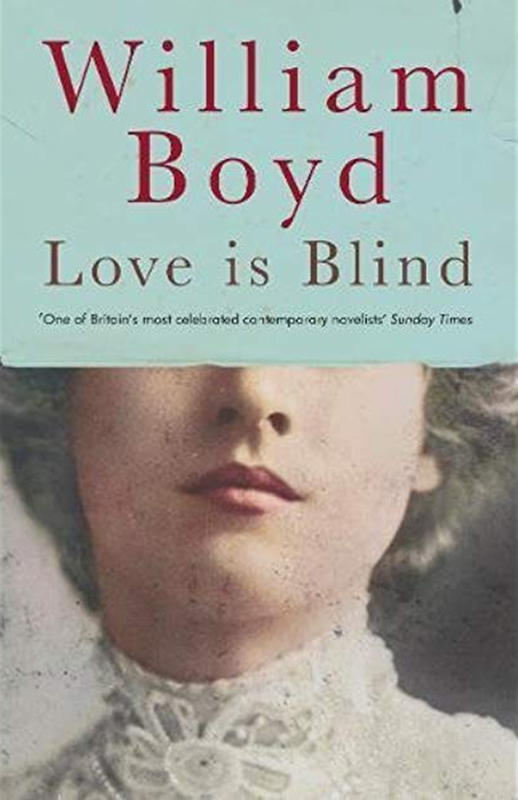 Stevenson in his preface, Love is Blind bears a greater resemblance to Somerset Maugham’s fickle heroines and sensitive heroes, combined with the detached observation of humankind that Boyd shares. Add Love Is Blind to your collection of William Boyd novels. It is an engrossing collage of the cultural world of the late 19th century personified by the ambitious and cynical characters he so ably creates. Nothing pleases me more than to receive a review copy of a really world-class book by a Swansea writer. 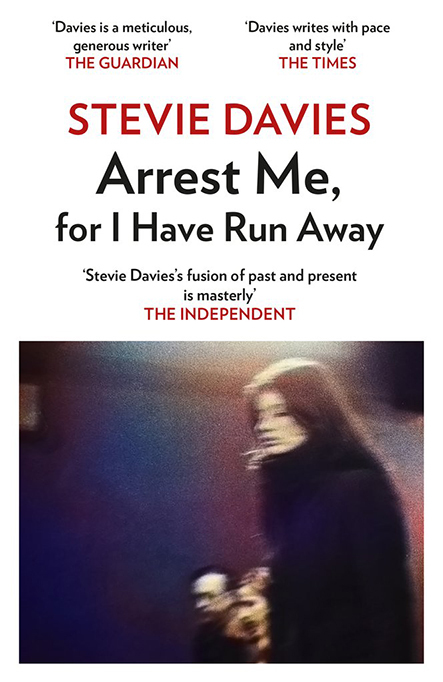 Stevie Davies’ latest collection of short stories entitled Arrest me, For I Have Run Away demonstrate both the strength of her literary imagination and the power of her impeccable prose: the attributes that made her so successful an influence in her role as Professor of Creative Writing in Swansea University. Stevie’s short stories are salutary examples of what constitutes excellence in this genre. They examine bizarre situations, as in the first story The World When We Abandon It, where we follow the adventures of Vi as she struggles to keep up with the extreme activities of the Up-and-Under eco-protestors. This subversive group’s activities —- such as climbing clocktowers or perilous sprinting through tunnels in the Underground ——-attract the attention of the authorities who plant a spy in their midst. Vi dives into this challenging movement seeking a meaning for her own personal sorrows. In Ground-nesters, a rare sparrow brooding on a Glamorgan housing estate, is the cynosure of all eyes, official and twitchy. Red the Labrador deters foxes from approaching the bird while his master Chris tries to makes sense of his own untidy life, protecting his little family from their own vulnerable and self-destructive mode…. The title story Arrest Me For I Have Run Away refers to the punitive metal collar bearing this inscription that slaves of yore were obliged to wear so that escape was impossible no matter how far they ran. Our protagonist in this poignant narrative is Tertia, a Welsh slave-girl in ancient Rome. Tertia strives to protect a fellow prisoner of royal Scottish descent, who puts up a fierce resistance to oppression. Each of Stevie Davies’ twenty short stories is arresting and provocative, but my favourite, the one that keeps returning to my mind’s eye, is The Old Gower Swimmers, a deeply nostalgic portrayal of local families who maintained a tradition of swimming round the little bays and coves from Langland to Pwll Du. Our protagonist, now adult, is the child of one of these formidable couples who regularly swam along ‘the pathway in the sea.’ In one grand gesture she determines to create her own memory of an epic swim, and, after an exquisitely described trawl through the beloved coastal waters and currents, is brought to shore by the playful pats and nudges of a family of seals, applauded by the ghosts of her mentors. Stevie Davies is a lion ruling the Welsh literary world. Long may she continue writing, explaining us to ourselves, reminding us vividly of who we are and whence we come. “Use the time of a total stranger in such a way that he or she will not feel the time was wasted. “Give the reader at least one character he or she can root for. “Every character should want something, even if it is only a glass of water. “Every sentence must do one of two things—reveal character or advance the action. “Start as close to the end as possible. “Be a Sadist. No matter how sweet and innocent your leading characters, make awful things happen to them—in order that the reader may see what they are made of. “Write to please just one person. If you open a window and make love to the world, so to speak, your story will get pneumonia. National treasure Stephen Fry’s latest oeuvres Mythos and its companion volume Heroes are fresh revivals of the myths of ancient Greece, stories that have had a great influence on West-ern culture, assimilated and propagated by the Romans across the most far-flung corners of their empire. In his own inimitable style, Fry takes an erudite look at the doings of gods, goddesses, kings, queens and ordinary mortals who play out their very familiar roles in this collection. Excellent new versions of the lore of ancient Greece are churned out regularly and, in this column, we keep you informed of their appearance. 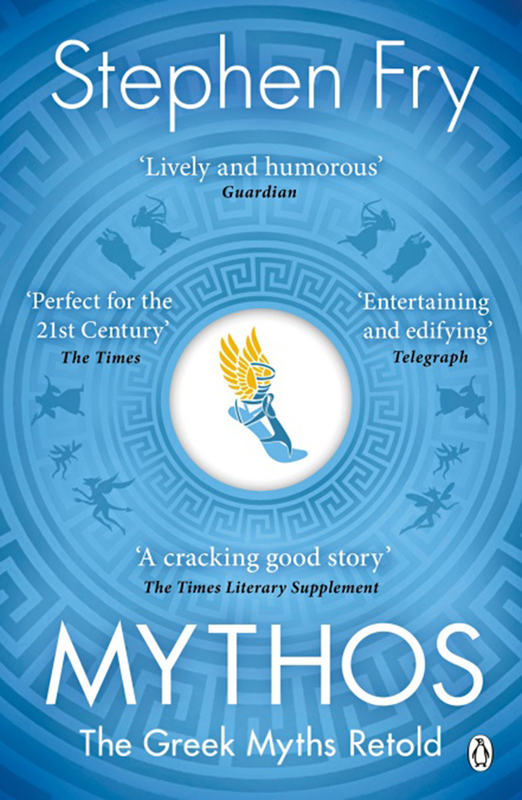 Fry’s foreword to Mythos is interesting: he claims that although borrowing from the lore of other great ancient civilisations, the myths of Greece are the body of writings of antiquity that are the most alive in modern times. This status actually belongs to Indian epics viz the Ramayana, the Mahabharata, the Bhagavat Gita (part of the Mahabharata) and a huge collection of legends and fables (Panchatantra) which have been represented continuously for thousands of years in Indian sculpture, classical dance, music— and today in hugely popular TV serials, Bollywood films and in the world- famous Amar Chitra Katha comic strip print versions. This phenomenon occurs across the Hindu diaspora, so that wherever Indians live, from South-east Asia to Canada, the stories of Indian antiquity are alive and kicking and always have been. The authors of the Indian epics (the sage Valmiki inter alia) were contemporaneous with Homer and Hesiod but are far more widely read and known in a modern context than the Greek myths. The sheer weight of numbers of the world Hindu population is all the evidence required, but Fry would do well to google the references I have provided—and update/augment his already formidable knowledge bank. The cultivated and scholarly Dr Shashi Tharoor is a distinguished Indian diplomat, politician and writer whose much-discussed books present his very contemporary stance on colonialism, nationalism and, now, on Hinduism. In Why I am A Hindu, Dr Tharoor examines the philosophical, spiritual and mythological elements that epitomise the modern Hindu today. He quotes esoteric Vedic texts and their annotations (The Upanishads) and explains the teachings of Advaita philosophers who influence the understanding of Hinduism so strongly. A colourful pantheon of glamorous gods and goddesses, so easy for the simplest mind to adopt and worship, represents one end of the Hindu spectrum, with the ascetic purity of monistic philosophy at the other: in sculptured prose, easy to read though loaded with abstract metatexts, Tharoor explains the concepts of Hinduism at its finest, a religion so resilient that the worst excesses of foreign invaders made little impact on the vast majority of Hindu India. In the second half of Why I Am A Hindu, Dr Tharoor deplores the politicising of the Hindu-Muslim divide. Though Muslims form a very small scattered minority of the Indian population they are a useful means of polarising political activity in the sub-continent, particularly in view of a shared border with a hostile Pakistan. He laments the modern trend of demonising Muslims in India, a glib method of solidifying national loyalties by spotlighting a common enemy — and a simple method of creating a national identity. In fact, as Dr Tharoor asserts, Hinduism is an extremely relaxed and inclusive religion, permitted to absorb the beliefs and gods of all other faiths. 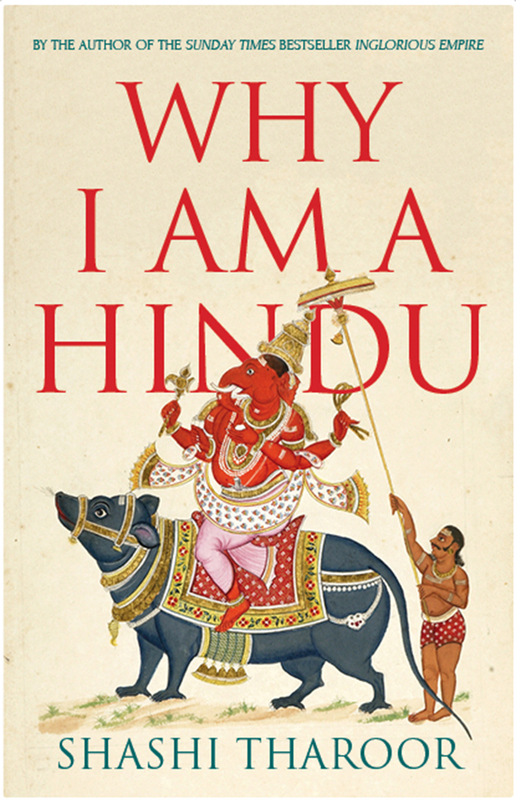 Why I Am A Hindu is an influential and thought-provoking book, shedding light on many of the contradictions and anomalies of this ancient religion and its chequered history.